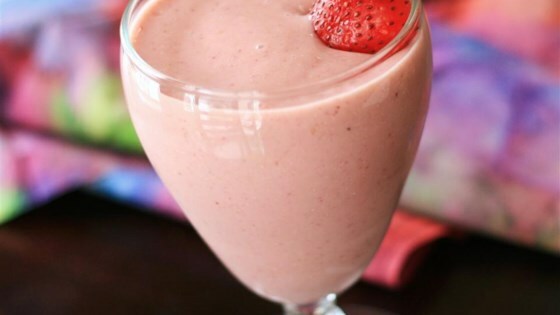 Blend almond milk, oats, strawberries, banana, agave nectar, and vanilla extract in a blender until smooth. Rice milk can be used in place of the almond milk. Two packets of stevia sweetener can replace the agave syrup, if preferred. This is the Smoothie I've been looking for. Easy & smooth. I am not a huge fan of smoothies but my new son in law came to visit an he is "vegan" for the holiday season...this was so easy & delicious!!! I will be making it on a regular basis.